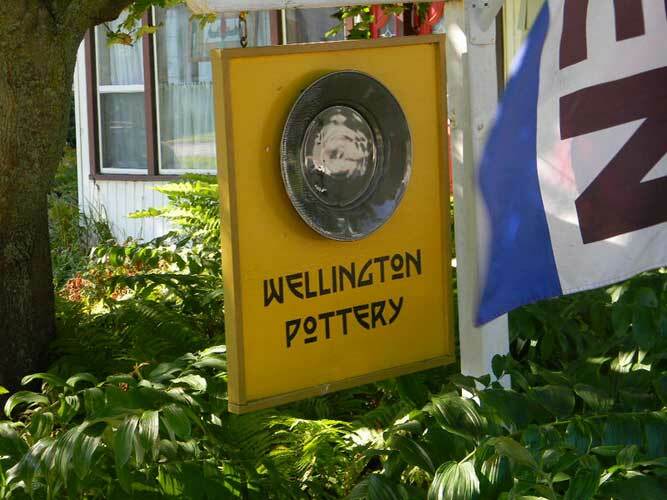 We invite you to come and visit our studio in the lovely village of Wellington, Ontario. Wellington is on a island, Prince Edward County "the county", off the north shore of lake Ontario. The village itself is on the shore, with beaches, a great park , quaint downtown shops, museum and Bed and Breakfasts. The area is steeped in Loyalist history. It is famous for fishing, bird-watching, boating and camping. A popular spot is the Sandbanks Provincial Park. Wineries and Artist's studios and Galleries dot the island in addition to the beaches and beautiful scenery. Our showroom and studio is in an old carriage house at the end of our driveway over looking our garden, shaded by a huge Butternut tree. 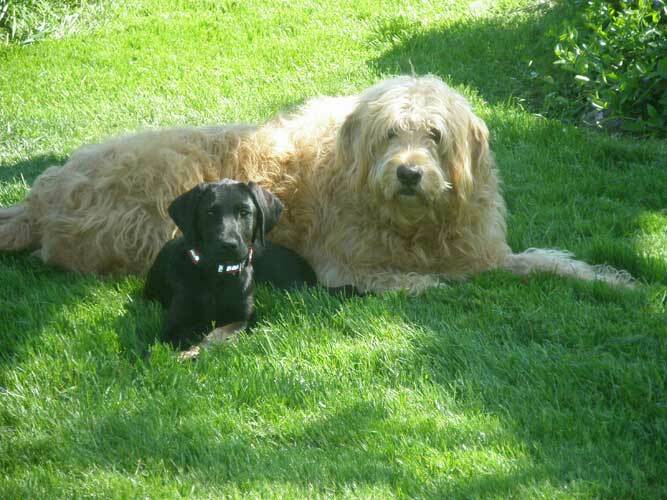 You can have a tour of the building, see work in progress and watch us work, and meet Sheamus and Pip our dogs. The show room is filled with unique pieces, some from the gallery page and many more that are experimental, one offs and more glaze colours, even a few selected seconds.